Are you dreading your upcoming move? Maybe you’ve only lived in your apartment for a short amount of time, but you’re amazed at just how much stuff you have acquired. Even the smallest of living spaces can seem very overwhelming when you start looking around and seeing all that has to be boxed up, taken apart, and then put back together on the other end of the moving experience. If this describes your miserable existence and readiness to just start chucking stuff into the nearest box and calling it quits, then it’s time to hold up and let someone else take this load off of your shoulders. Relocating to a new place requires a lot of details and decisions, and hiring someone else to help you move should be the easiest of those decisions. You know that you’ve got enough on your plate already and having an affordable and convenient option to relieve your stress is a no-brainer! At Brown Box Movers, we step in to handle all of your belongings in the effort to take this stressful move off of your hands. We know that moving is a huge deal, regardless of the size of your home, and we enjoy the experience of jumping in to help in any way that we can. Our experienced and skilled apartment movers will care for each of your belongings as if it were their own, and we pad and shrink wrap all of your furniture to ensure its safety in the process of loading, traveling, and unloading. We relocate apartments, condos, homes and everything in between – from small studio apartments to large townhomes. Our fully licensed and insured movers work all across the DFW area to make sure that your valuables are being properly delivered from point A to point B, and we take pride in knowing that we are going to deliver your items to you in the condition that they left in. No matter how large or how small your items may be, our dependable and cautious staff is at your service. 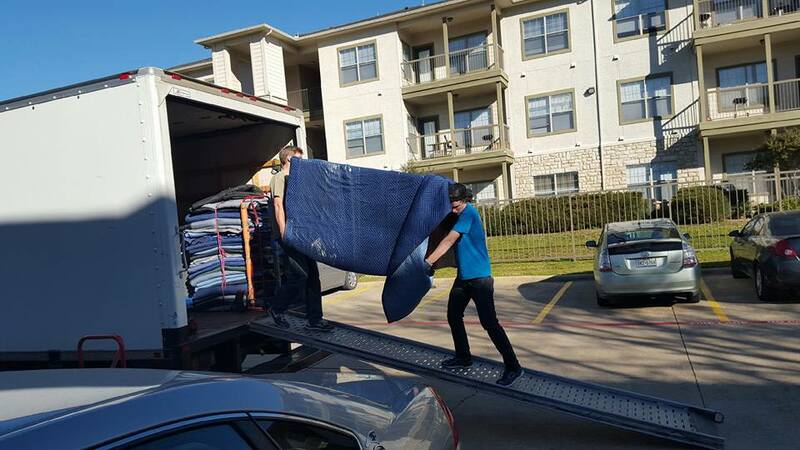 So, if you need help re-arranging your furniture from one room to another or if you’re moving clear across the metroplex with a home full of possessions, we are the only phone call that you need to make! We will offer you a free moving quote so that you know exactly how affordable our services will be for you. Our dedicated and conscientious team has done this over and over again, and we can offer you tips and tools to make this transition as easy as possible. Contact us today to learn more about how our company works and all of the ways in which we can rescue you and carry you through your upcoming move!